Welcome to a new year and a new season of racing. With the first of the races within a few months, January is the good time to start setting your goals and start training. 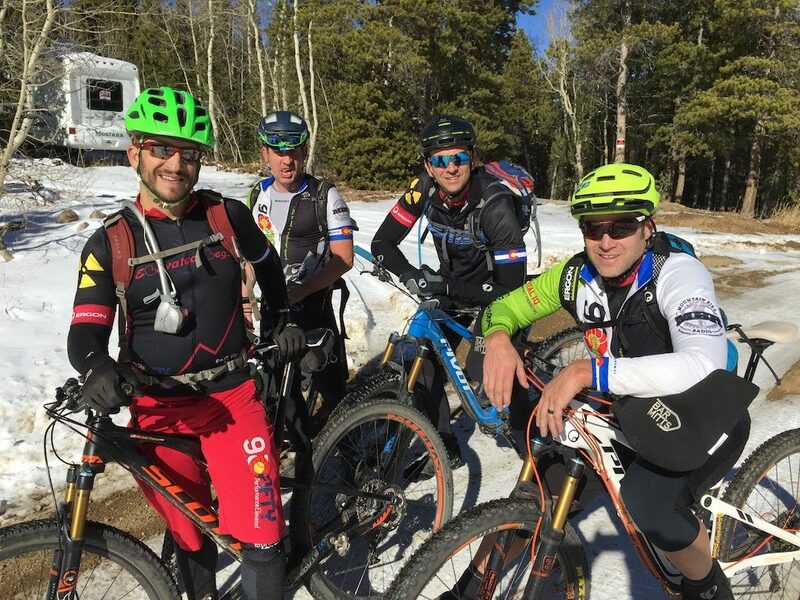 There are a lot of winter training options within Colorado; Fat biking, graveling riding, XC and Backcountry skiing and of course the dreaded trainer. What are your season goals? What do you want to accomplish this year? Maybe it has nothing to do with racing your bike, instead it’s doing an epic bike trip, or maybe take some KOM’s. Regardless of what you want to do, you need to set some goals so you can track, measure and make progress on your goals. We often help our athletes create and set their season goals. When we do this our athletes have the best success of reaching or exceeding their goals. After a short preparation period you should start off with building your Base. Your Base training should include some long slow distance (LSD) sessions, and some high intensity intervals, core and strength work. The duration of each really depends your goals and fitness level. During this period it’s important to not dig too deep to avoid burnout or overtraining. Starting with a strong Base you will be prepared for a great season. If you are coming off the couch or took an extended it’s important to spend about 12 weeks in this phase. Many people skip this phase and go out too hard in the early season and burn out early and perform poorly in their goal events. Avoid the burnout and enjoy the base training phase for the best performances. There are lots of options for building a good base in the winter. 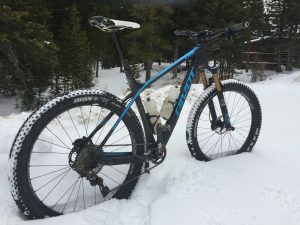 One option is riding outside on gravel and snow packed roads or fat biking. Riding outside in the winter can be challenging, but also fun and rewarding if you are prepared. Some of my most memorable and miserable rides have been during the winter. The difference in those rides is how I was prepared for them. Having the right clothes and being prepared for adverse conditions is important. Cold hands and feet tend to be the biggest issues people have with winter riding. Finding a good pair of winter shoes will make a world of difference when temps are under freezing. Cold hands can be a showstopper for many people. Using Bar Mitts and different weight gloves will keep your hands toasty. Setting your season goals and starting your training by early will set you up for a great race season and increase your chances of your best performances. If you need guidance with your training plan or setting your season goals reach out to us for a free consultation.